PREVIEW: Friday, September 21 and Saturday, September 22, 2018, 8AM - 5PM. All equipment available for viewing during normal business hours. LOADOUT: Monday, September 24 following the auction closing, and for the following 2 weeks after. Load out hours are from 8AM to 5PM. Lane Tractor is willing to ship select items per the buyer request. For information regarding shipping please contract Lane Tractor Repair. 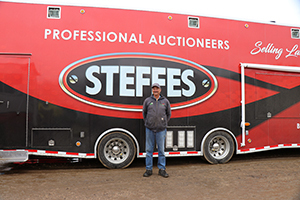 AUCTIONEER'S NOTE: The Steffes Group is pleased to assist Lane Tractor Repair in marketing their auction. Garlyn and Carolyn Lane, after 50 plus years of service to the Westerville Community, are retiring and are selling their repair business.